Last month, Russia intensified its efforts to create it's own Internet that will keep it separate from the rest of the world. Now, Russian authorities have issued a notice to 10 VPN providers instructing them to restrict access to websites that have been banned by the country. According to the notice issued by Russia's telecom watchdog, Roskomnazor, VPN providers are warned to block all websites that have been censored by the country or else Internet access to their service will be blocked. The Russian watchdog has asked VPN providers to join the IT system which contains the list of state-blocked websites. 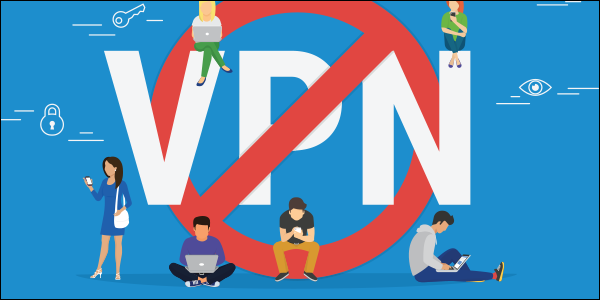 Top VPN providers such as VyperVPN, HideMyAss TorGuard, IPVanish, ExpressVPN, NordVPN, etc have all been noticed. In fact, the notice gives the VPN providers a 30-days ultimatum to comply with the orders or risk being shut off from Russia. However, the VPN providers are fazed by Russia's threat block their Internet access if they failed complying with the directives. Instead, they are ready for whatever the outcome will be. "Our core mission is to keep the Internet open and free, so VyprVPN will continue to provide uncensored access to the Internet," CEO of Golden Frog, the company who owns VyprVPN told PCMag. Also reacting to the Russian governments order, TorGuard announced in its blog that it has removed all servers hosted Russia off its service. "If we feel the legal climate in a country could pose a threat to our customer's online security, then we will no longer offer servers in that country," TorGuard said. In 2017, Russia fined encrypted messaging service for refusing to give it the keys to decrypt messages sent to and fro between Russian users making use of the Telegram service. Russia argued that its reason for th demand was to help curb the spread of terrorist attacks since the messaging app was their medium of communication because of its strong encryption. Last year, Russia decided to completely block Telegram from the country. However, it did not end well as many services that were making use of servers hosted outside Russia (Amazon, Microsoft and Google servers) were affected. If Russia eventually builds its won Internet just the way China has done, they will be able to control, restrict and maneuver things the way they want without disrupting services.